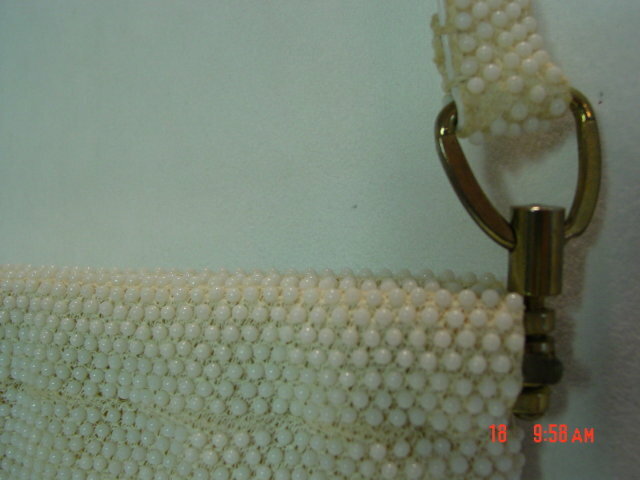 This vintage white beaded purse by Laura USA was made in Hong Kong. 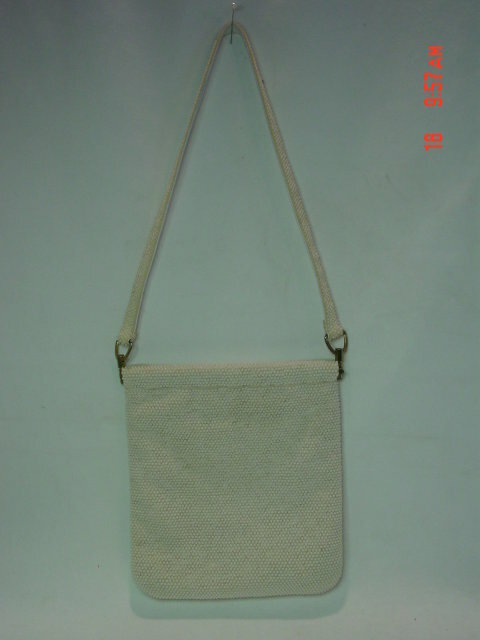 It has a hinged snap closure and a 27" shoulder strap with matching beads on one side and white vinyl on the other. 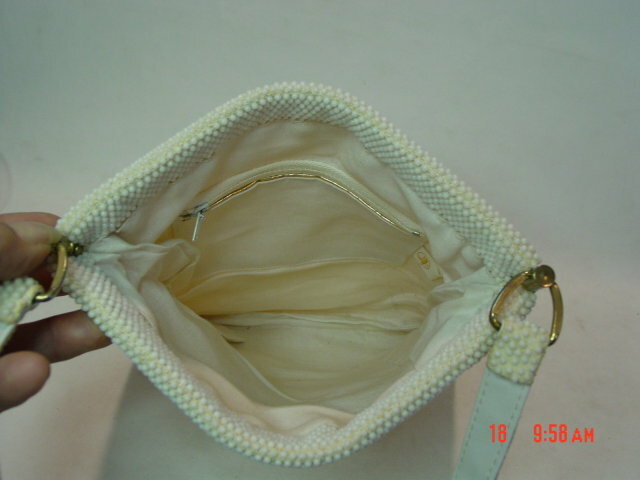 It is lined in white cotton and has a zippered pocket with gold piping. 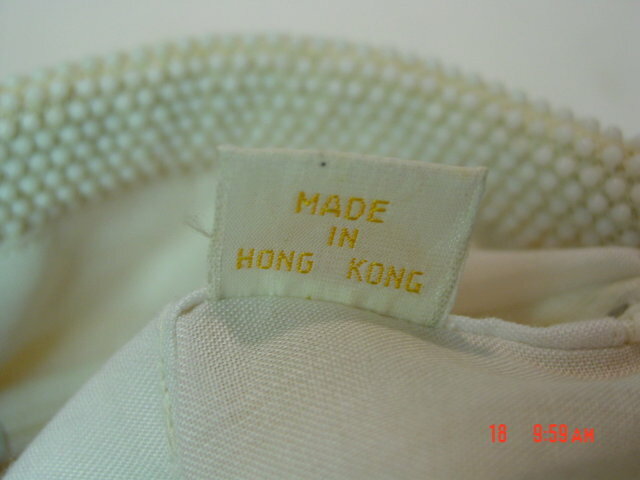 There is a white cloth label with LAURA U.S.A. and MADE IN HONG KONG on it. There are a couple of VERY LIGHT pen marks which are hardly noticable on the lining, otherwise this shoulder bag purse is in great condition. Items Similar To "Vintage White Beaded Laura USA Hong Kong Purse"